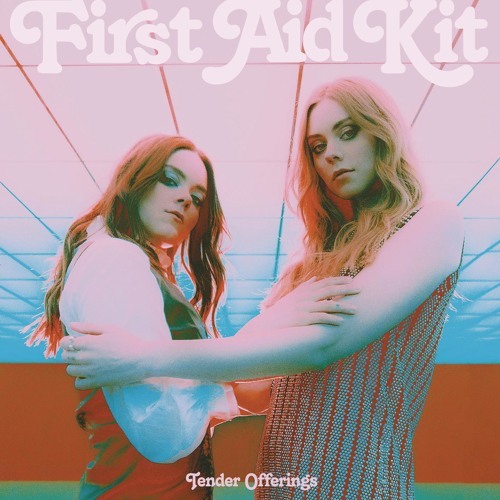 First Aid Kit released their stellar album Ruins in January. While recording, they had to cut a handful of songs from the record, as is all too common. Instead of throwing four of those tunes into the dustbin, Klara and Johanna Söderberg opted to release them as Tender Offerings, and they are some of the prettiest songs the sisters have ever released. Listening to Tender Offerings and Ruins, it’s easy to see how these tracks didn’t quite fit the fully-fleshed out, Nashville sound of Ruins. The tracks never get loud or rowdy. Instead, they’re heart-wrenching numbers that revolve around the Söderbergs’ voices, such as on the breathtaking “I’ve Wanted You” and the old-school country offering, “Tender Offerings”. Lyrically, “Ugly” is a powerful track about not letting someone or a label define you and the empowerment that comes from that. It’s one of the year’s heaviest and most moving songs. Tender Offerings is a wonderful four-track EP. It’s a great complement to Ruins, as it showcases a softer, more tender side of the sisters that is reminiscent of their earlier records. Tender Offerings is available via Columbia Records.